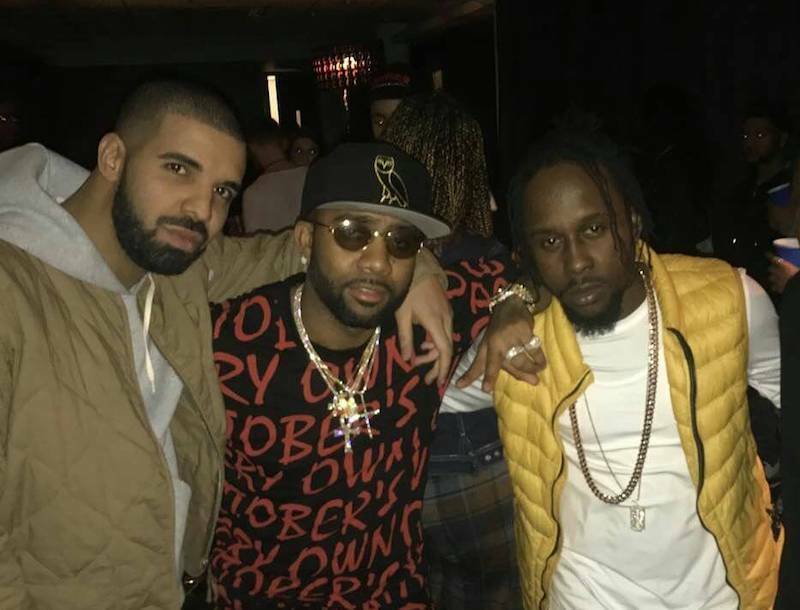 Drake is still celebrating the release of More Life and last night his friends Nicki Minaj and Popcaan and a host of others from his OVO camp shutting down London. Drizzy performed at his final “Boy Meets World” tour at the O2 Arena in London on Monday night now where he performed in front a sold out crowd. He even called out London’s own Giggs as a guest performer where they performed their new single “No Long Talk.” But after the show, the 6 God hit up a local club with Popcaan, Nicki Minaj and several of his friends from his OVO camp where they turn up to More Life. Drake finally released the playlist on Saturday and it’s already got a grip on hip hop with some 600,000 copies expected to be sold in the first week of release. By next week Monday, we should have the final numbers. Surprisingly, Popcaan nor Nicki Minaj did not get featured on the album, but Drizzy recently appeared on a new Nicki single with Lil Wayne “No Frauds.” That song debut at No. 14 on the Billboard Hot 100 chart this week. More Life is expected to debut at No. 1 on the 200 chart next week. The 6 God will be performing two shows in Glasgow on Wednesday and Thursday night and then two more shows in Amsterdam over the weekend to end the tour.